Champagne Lallier specializes in producing exceptional champagnes by sourcing exclusively from vineyards officially classified Grand Cru & Premier Cru. Wines are vinified by plot using indigenous yeast. They see limited sugar addition (dosage), and long periods of rest in the cellar both before and after disgorgement. Maison Lallier’s ambassador, Pierre-Jules Peyrat, will be on hand pouring samples of Lallier Grand Réserve made with fruit from the Grand Cru vineyards of Aÿ, Verzenay, Avize, and Cramant and Lallier Rosé made with fruit from the Grand Cru vineyards of Aÿ, Bouzy, and Avize, and the Premier Cru vineyards of Mareuil sur Aÿ. Executive Chef at Cork Wine Pub for the past three months, James Gundy specializes in a true seasonal menu that changes every two to four weeks. He works with high-quality ingredients, sourced locally whenever possible, to create wine-friendly dishes. The menu for next Wednesday’s tasting consists of several hors d’oeuvres, including chicken liver paté with raspberry; celery mousse with lemon and crispy chicken skin; lettuce, corn and duck rinds; ham, arugula, Pecorino and blood orange micro salad; crispy sweet pea rice with ham and fermented garlic. Spaces for this tasting are limited. RSVP is required. 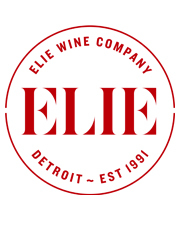 Call us at (248) 398-0030 or send an email to elie@eliewine.com to secure your spot. The Champagnes of Maison Lallier will be available to purchase at discount prices during the tasting and we’ll be sticking around for dinner afterward if you care to join us.